Bruce Balderson is president of BDS SYSTEMS INC., a manufacturer and Sales Representative Company located in Warwick, Pennsylvania, USA. Presently, BDS systems Inc. manufactures lighted windsock systems primarly serving the aviation industries. In the past Bruce has served the industrial, petroleum, chemical and waste treatment markets with control instrumentation and safety equipment. Bruce graduated from Temple University, Philadelphia, Pennsylvania where he was a brother in Sigma Phi Epsilon Fraternity. He served in the U.S. Naval Air Reserves. He is a member and past president of the Ocean City Fishing Club and servers on a number of committes in his community. Bruce worked in the aerospace industry on weather satellites and missile defense systems. He sold instrumentation equipment (tank level gauges, tank remote gauging and temperature, high level alarms systems, and gas control equipment) to the petroleum, chemical and waste treatment industries. 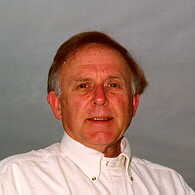 Today, much of his time and energy is spent on BDS Systems Inc.
Bruce holds two U.S. patents. One patent is an audible/visual warning alarm system, used in the petroleum industry, to warn terminal personnel of a potential tank overfill. The second patent is an optical signaling device used outside to display numerical information to many observers over a large area. "Time of day" and "temperature" are two examples. Bruce's wife Elaine, Leandri Balderson is a retired secondary school teacher. Their sons are married with children. R. Bruce Balderson, Jr.is a real estate attorney, and Kurt Leandri Balderson is a high school business teacher. "HE" remembers 911...Remembering September 11, 2001 / A note about September 11, 2001. Bruce enjoys traveling and has visited many places in the United States (including Hawaii and Alaska) and some outside this country - the Canadian Rockies, England, France, Switzerland, Italy, Venezuela, and the Caribbean Islands of Aruba, Bonaire, Curacao, St. Maarten, Trinidad, St. Thomas, and St. John. He enjoys spending spend time at his summer home in Ocean City, NJ.